with custom content proven to connect, nurture, and convert. Get my custom-created, proven Campaigns—all with custom content and/or clear instructions on how to customize—published right into your own application almost immediately. These are Campaigns I have created and use personally to create my own inbound sales. They are based on what I've proven to work after being in sales since 1997 and an Infusionsoft Certified Partner since 2008. Send interesting, non-salesy, non-pushy messages to your list every month to remain top-of-mind with them so they come back to you when they are ready to buy. "I am very happy with the long term nurture campaign." Work your leads from new prospect to happy client and know exactly where every lead is in your funnel. Out of the 1,000+ Infusionsoft Certified Partners in the world, few have a sales background like me, and even fewer have a sales training background so they have literally never used the Opportunity module inside of Infusionsoft since passing their certification test. But if you have a complex sales cycle you NEED a CRM with a Pipeline to stay on top of things. This campaign helps you do that better than any other. 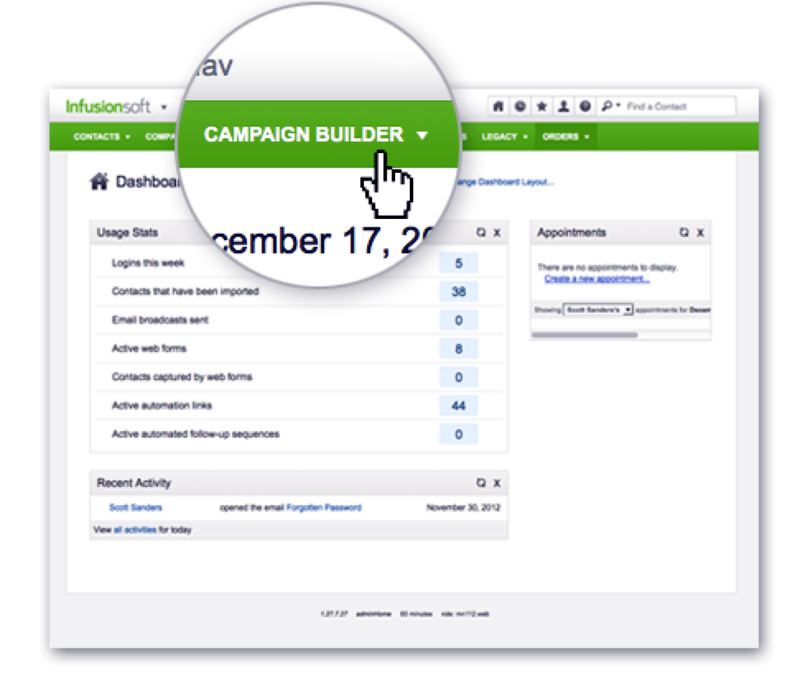 Get Infusionsoft Campaigns that deliver results!